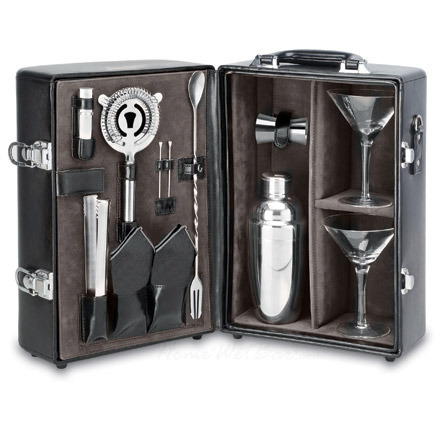 We are one of the highly recognized manufacturers and exporters of superior-grade Bar Sets. They are widely used in different bars and contain all the necessary kitchen materials required in efficiently operating a bar. They are available to clients in the form of sets. These bars sets are made using premium-quality raw materials in adherence to industrial quality standards and are highly acclaimed for their sturdiness and durability. They are quality-tested by professional auditors before dispatch. We offer them to our esteemed clients within the time-frame specified by them. They are resistant to corrosion and moisture. We also export them to our overseas clients through reliable shipment modes. They are affordably priced. Established in the year 1998 at Thane, Maharashtra, we, Kevin Industries, are one of the leading Manufacturers, Suppliers and Exporters of an assortment of Kitchen Appliances. Our product range includes Stainless Steel High Quality Premium Tableware products, Kitchenware products, Wire Products, Kitchen Utensils, Cooking Utensils, Kitchen Cutlery Sets, bar ware Products & Water Dispensers. Our Company is well established and is replete with the latest and the most advanced machinery required for manufacturing high quality products. We are adept at using the best raw materials and technology aspects. Our skilled workforce supervises the different stages of production starting from product designing till its delivery. Our foolproof procedures guarantee the quality of our products. We place a lot of focus on exporting our products to our overseas clients. We never compromise on the quality of the products.